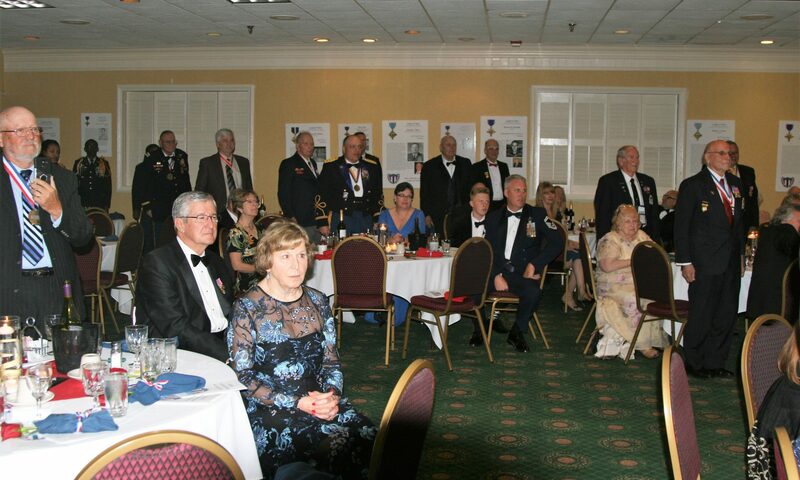 Members of the Legion of Valor of the USA will gather in Reno, Nevada for their 130th Annual Convention, 10-14 June 2019. Each member of the Legion is the recipient of the Congressional Medal of Honor, Navy Cross, Distinguished Service Cross or Air Force Cross — our nation’s highest awards for extraordinary heroism in combat. The Legion of Valor was founded in 1890 as the Medal of Honor Legion, and was chartered by Act of Congress in 1955. The Legion is the nation’s oldest military service organization. The Legion of Valor members span the ranks from Private to General yet hold in common the performance of a heroic deed in combat that sets them apart from all others. Only one in 20,000 combatants are recipients of these awards for extraordinary heroism. At the 130th Annual Convention, World War II fighter aces, Korean War marines, Vietnam infantrymen, Iraq naval gunners and Afghanistan sharpshooters from 90+ years of age to 23 years of age will speak in ways that only a common bond permits. All faced extraordinary conditions in combat and were called upon to risk their lives above and beyond the call of duty — and did so without hesitation. During their time in Reno members of the Legion will visit local sites. A solemn Memorial Service is held for Legion members who passed on during the year. Each year the Legion says goodbye to 30+ members, some from WW II, who have reached their last retreat. The Legion has a strong family tradition and members’ spouses and children are regulars at conventions. Learn more about the convention. National Commander George Malone NC and Sue Malone promise a great time in Reno, Nevada. The convention will be held in 10-14 June 2020. The venue is the Peppermill Resort SPA Casino, 2720 South Virginia St, Reno, NV 89502. All rooms are located in the Peppermill Tower. The group code for discounted rooms is LLV2020. Do not book registrations until after 10 June 2019. tele 866-821-9996. Register online on this site after 10 June 2019. Please click on submit and await confirmation. If you are paying online this is a separate step from your registration. After receiving your registration confirmation return to this page to pay online. You may pay online with any credit card through Pay Pal. After submitting your registration, please complete the following form to pay through PayPal or credit card. The prestigious Legion of Valor is the oldest military service organization in the United States. Its members have distinguished themselves in combat by extraordinary acts of selfless heroism; and have been recognized by our nation with award of the Congressional Medal of Honor or the Armed Services Crosses, the highest award for extraordinary heroism. Our membership spans all services and all ranks from private through 4-star general and includes combat operations from WW II through the current Afghanistan insurgency. Learn more about the Legion of Valor.